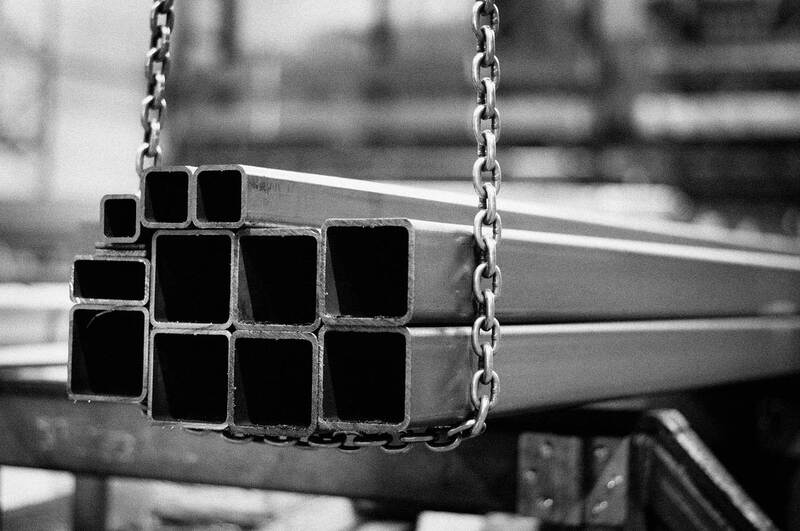 In addition to our sheet metal that comprises of cold-rolled sheets, hot dip galvanized, electrolyte galvanized and aluminium-zinc coated sheets, there are high-tensile steels that focus on strength. 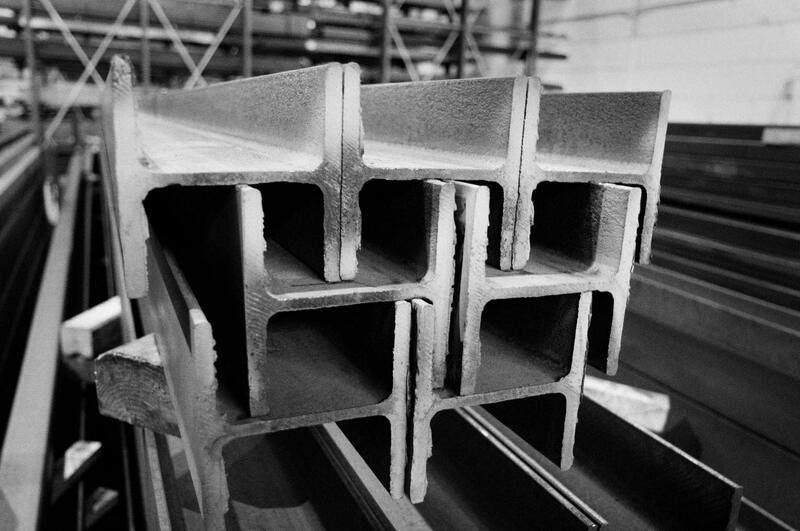 Higher strength sheets are limited in manufacturing ability, the higher the structural integrity (yield strength) of the sheets the more it affects the ability to process the sheet. It is normally manufactured up to 3mm in thickness. 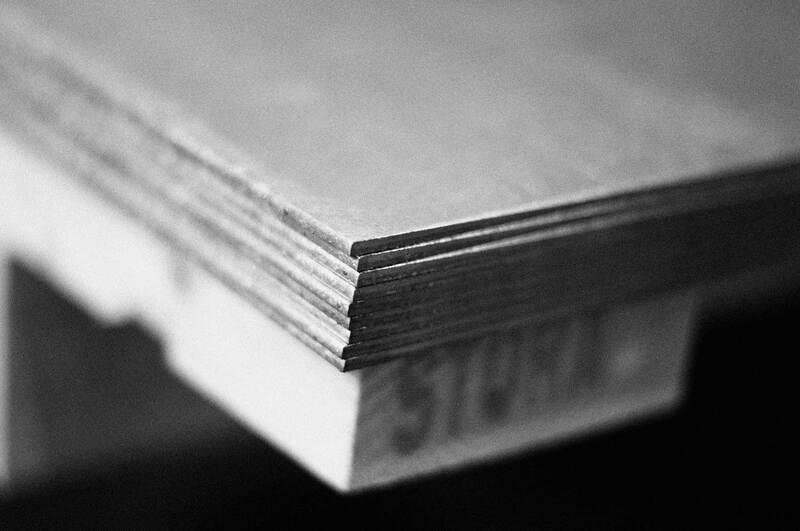 A sheet with a fine surface that can be used for many applications where less importance is placed on strength. Referred to as mild steel, the sheets can be bent, rolled, pressed depending on condition DC01-DC06. It is normally manufactured up to 3mm, but in some cases up to 5mm. 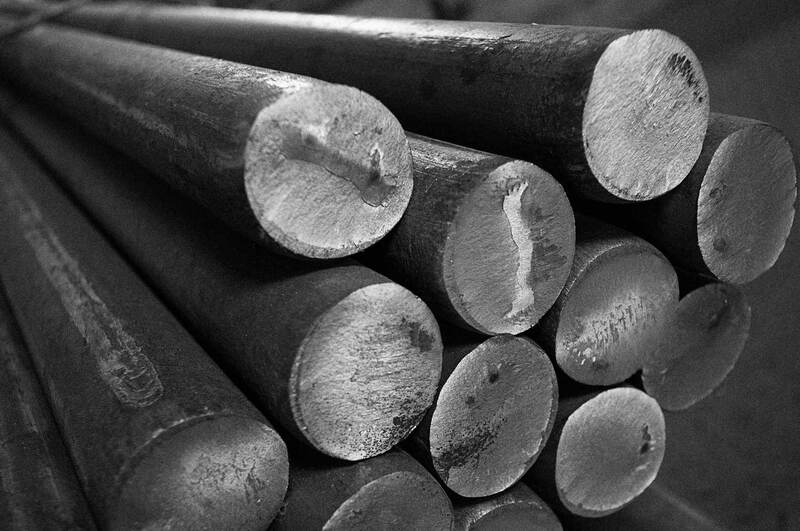 Hot-rolled or pickled sheet coated with zinc to prevent corrosion. The sheets can for example be processed in press-brakes, rolling, pressing and be hot-rolled and are referred to as DX51D-DX56D. 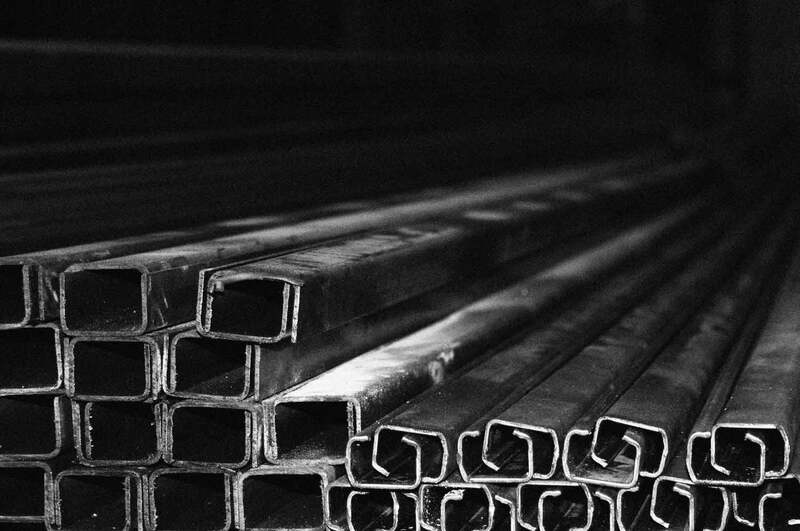 Hot dip galvanized sheets can be supplied with various thicknesses of zinc and are specified in grams per square metre, an example of the most common zinc weight is Z275. It is normally held in stock up to 2mm and the starting sheet is a cold-rolled sheet. A surface treatment process which gives the sheet a very thin zinc coating, but a fine and smooth surface that can be painted. 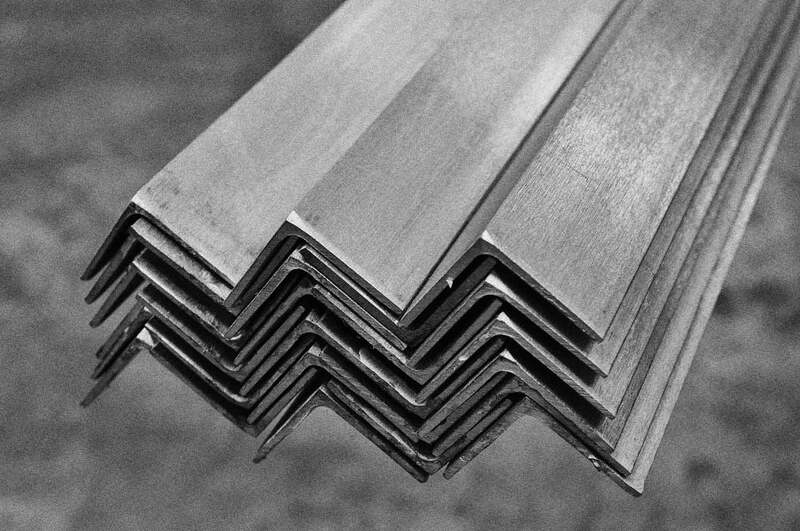 Aluminium zinc coated sheets are, like hot dip galvanised sheets, available in various zinc thicknesses specified in weight per square metre. The starting material in the Alu-zinc sheets is usually DX5 1D-DX5 4D and can be processed through rolling, bending, folding and pressing. Can be supplied as sheet or heavy plate. The sheet is manufactured from 2-15mm. Sheet relates to the manufacturing process and contributes to its different characteristics. Hot-rolled sheets can be delivered with a variety of different structural integrities (yield strengths) with moderate processing characteristics in terms of, for example, bending. Hot-rolled sheets are coated with an outer layer called mill scale which can be removed by a process that makes the mill scale fall from the sheet. This process is called pickling. The sheet is lowered into a bath of acid and then dried, and possibly oiled, and then rolled up again in a coil (sheet metal roll). For thicker plates, it is also common to cut and pickle them because they are heavy and not as easy to roll out from the coil as the thinner dimensions. The sheet is called a hot-rolled pickled sheet and gets a clean and matt surface. For laser cutting, pickled sheets are chosen to avoid contamination that may cause disruptions and to get a satisfactory cut. 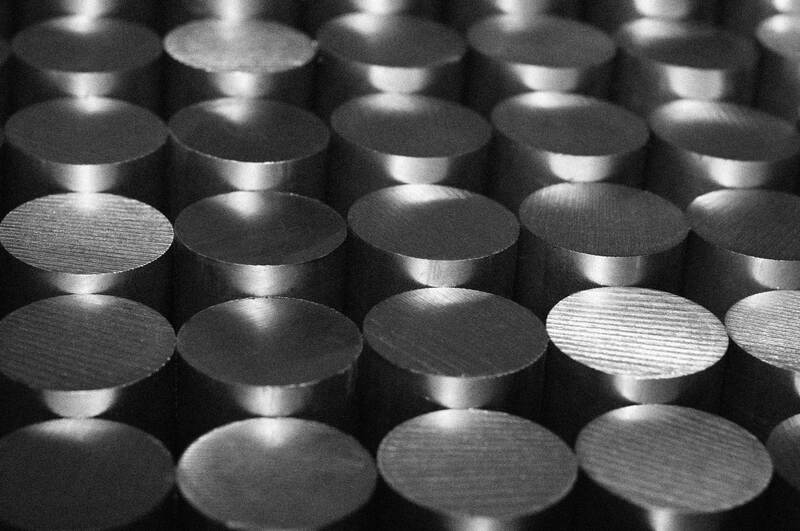 There are sheet qualities that are particularly suitable for use in laser cutting, and these are called, e.g., laser sheet metal or Laser Plus. Heavy plate are hot-rolled plates that are manufactured in larger sizes and thicknesses compared to sheets. Tolerances are larger on heavy plate and it has a worse and rougher surface compared to sheet. The plates are often used as starting plates for cutting in the manufacture of larger constructions in view of the starting formats available. Heavy plates are often used as thick steel plates to drive over during roadworks or land reinforcements. This is a form of sheet that can be supplied hot-rolled or pickled. The sheets can be bent to a very tight radius and have good weldability. …or rust-resistant steel, as it is called, although the most well-known name is Corten steel. The sheet is hot-rolled and has a slower corrosion rate compared to the usual sheet qualities. The area of use is mainly chimneys, planter boxes, garden edges, façades, etc. The sheet is used a lot in parks and gardens as a partition between green areas and hard surfaces. Wear plate is used where the plate is exposed to high wear and tear in the form of continuous abrasion and impact. The plate is hard and the structural integrity of the plate describes how hard an object can be pushed into its surface. For example, one method of measurement is called “Brinell”, which specifies how far a steel ball can be pressed into the plate, the result being the indentation in the plate. Checker plate is usually supplied in two different styles, check patterned and teardrop patterned. The plates focus more on slip resistance and less on structural integrity requirements. Checker plate is usually supplied with hot-rolled surface, though unpickled surface with hot dip galvanized checker plate can also be found. Perforated sheets are available in many different designs. They are available in material such as cold-rolled, hot dip galvanized, electro-galvanized, stainless, aluminium, copper, etc. The holes can be round, square, clover shaped, hexagonal, slot hole or mixed holes consisting of the said variants. Manufacture of special patterns or a pattern in the form of an image is possible for larger quantities. 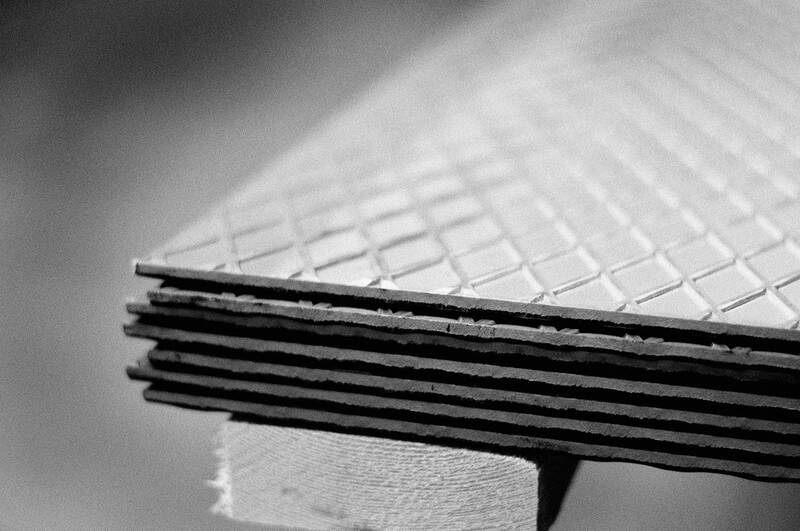 Perforated sheets are used in shop fittings, decoration and ventilation. But also in food processing and agriculture for sifting and sorting, for example. 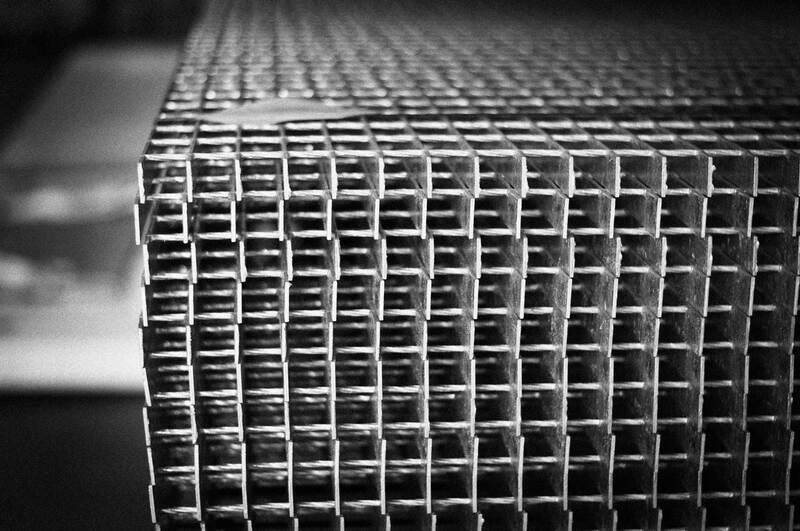 Expanded metal is manufactured from, for example, steel, aluminium and stainless steel. During manufacture, the sheet is pressed with a tool so that the desired length and width are designed in the sheet in the form of a parallelogram-shaped pattern. Production can be in many different widths and thicknesses, also according to customer requirements for larger quantities. 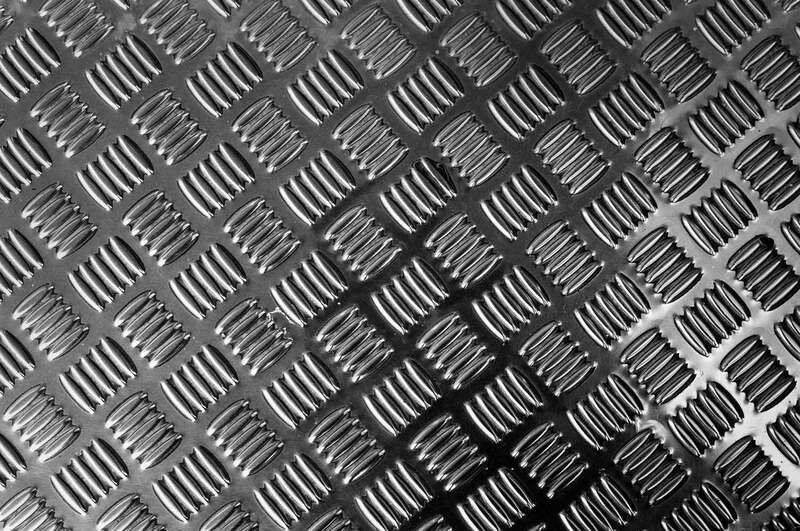 Areas of use for expanded metal can be in decoration, shop fittings, intrusion protection and anti-slip, sifting and sorting.